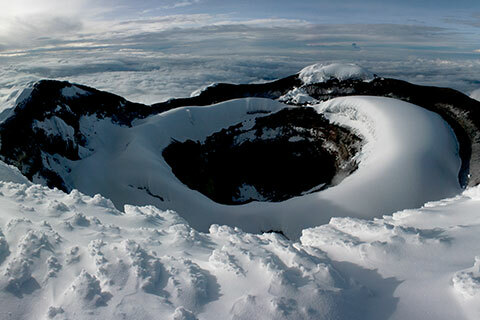 Our Chimborazo summit tour is an experience of a lifetime. Get ready to reach the farthest/highest point on earth’s surface! At 6,263 m (20,548 ft) high, summiting Chimborazo is no feat, a challenging but highly rewarding experience. Climbing Chimborazo can be attempted all year round, similar to Cotopaxi, the ascent starts before midnight to be back early morning the next day. A proper acclimatization is highly encouraged to avoid altitude sickness, and progressively adapt to this challenging assent. Considering the technical complexity, our chimborazo summit tour complies with all requirements of a credited mountain guide with ASEGUIM certification. Difficult accessibility with average to long travel. Visit points of interest may require 2 hours plus of travel from main capitals or provinces. Strenuous activities & climbs that require a high level of fitness. Locations require special clothing, adequate footwear & gear. Children not allowed. 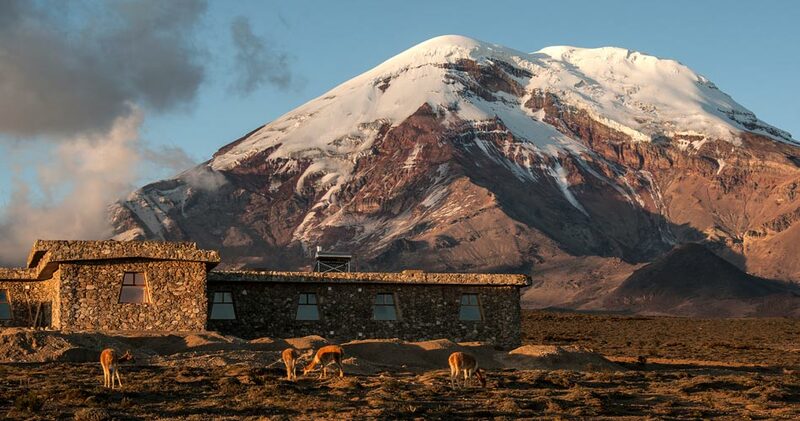 Chimborazo’s upper elevations are fully covered by glaciers, with north-eastern glaciers extending down to 4,600 m.
Chimborazo’s glaciers is the source of water for the population of Bolivar & Chimborazo provinces of Ecuador. 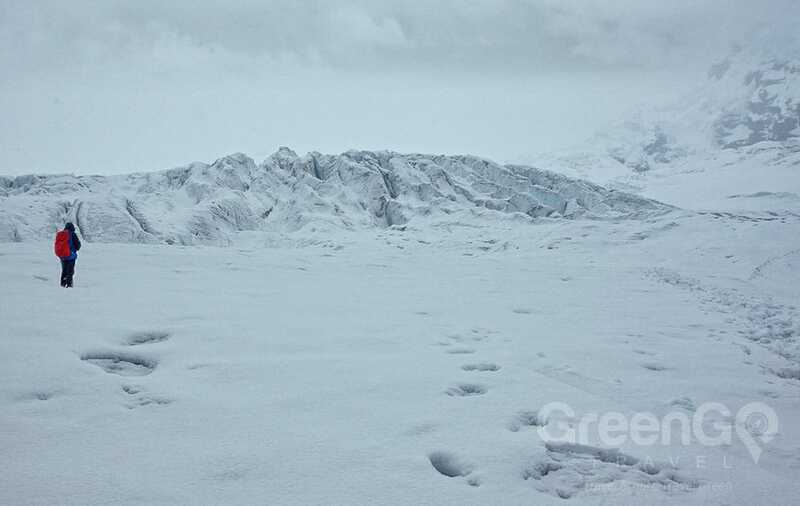 The glaciers mass have decreased in recent decades, it is believed this is due to combined sources such as: global warming, volcanic activity, and el Niño phenomenon. 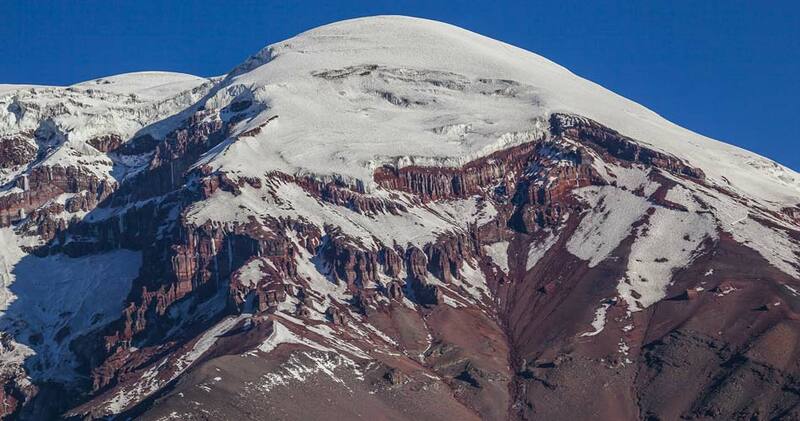 Glacial ice of Chimborazo is mined & sold by locals in the markets of Guaranda & Riobamba. The summit of Chimborazo is widely reported to be the farthest point on the surface from Earth’s center. The summit of the Chimborazo is the fixed point on Earth that has the utmost distance from the center – because of the oblate spheroid shape of the planet Earth. With an elevation of 6,263 m (20,548 ft), Chimborazo is the highest mountain in Ecuador and the Andes north of Peru; it is higher than any more northerly summit in the Americas. Refuge: Hike to the Carrel refuge at 4,800m. A small break & lunch. Continue to Whymper refuge at 5,000m. Supper: Once back at the refuge, you will be provided with an early 6pm supper. Programs shared by default with certified aseguim guides. 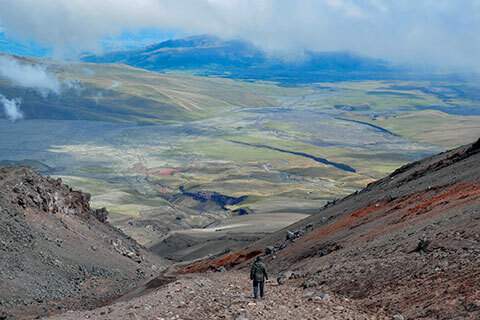 Entrance fee to Chimborazo: free *subject to change. 2 guests minimum to open departure, or private guidance. 4×4 vehicles used by default, a van or bus for groups above 4 guests. Rates are per person/ tour in US$ dollars, rates are subject to change. Activities may be changed or canceled for weather or health conditions. There is no refunds if the summit is not reached. 1 – 2 ratio (1 guide for every 2 climbers), *not guaranteed. It is recommended to consider a private guide for avid climbers. Climbers accept applicable terms for direct summits when booking. 2nd attempts are not guaranteed, but can be pursued under the right conditions. Weather conditions like, but not limited to: avalanche risk, electrical storm & wind. Shared guidance, fellow climber(s) cannot continue & no remaining guides. Your guide can cancel the trek for weather or health related issues.